The Hearth Room Kitchen is furnished as a kitchen might have been from about 1875 until about 1915. Many of the kitchen artifacts the Society has collected are documented in a notebook binder which offers our visitors a look at what it might have been like to prepare daily meals, as well as dinners and lunches for special occasions during the 19th and early 20th centuries. In 1889 George Dana and his wife, Virginia Lord Dana purchased the house at Harrison and Main (now Argonne Avenue) in Kirkwood, which today is known as Mudd’s Grove, the home of the Kirkwood Historical Society. At that time Mr. Dana worked for Mr. Giles F. Filley at the Excelsior Manufacturing Company in St. Louis. 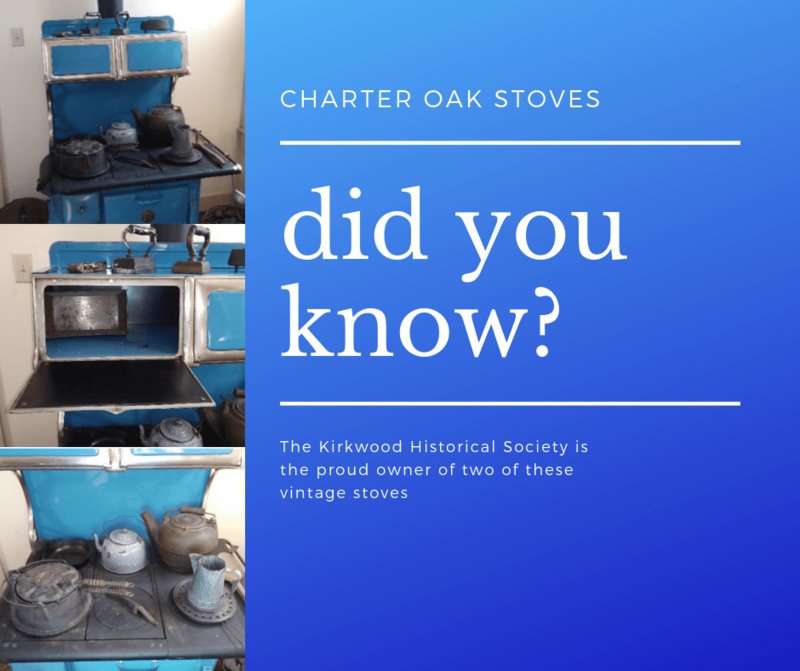 The Excelsior Manufacturing Company was dissolved in 1896 at which time George Dana formed the extremely successful Charter Oak Stove and Rangle Company of which he became the vice-president and manager.